My boyfriend's undecided. 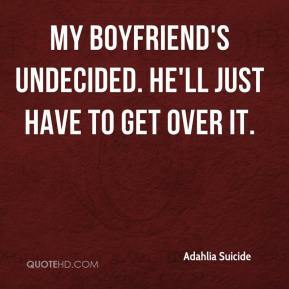 He'll just have to get over it. 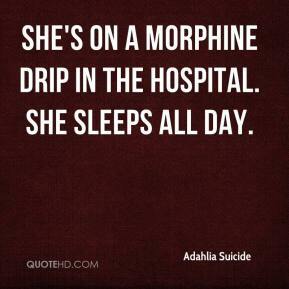 She's on a morphine drip in the hospital. She sleeps all day.